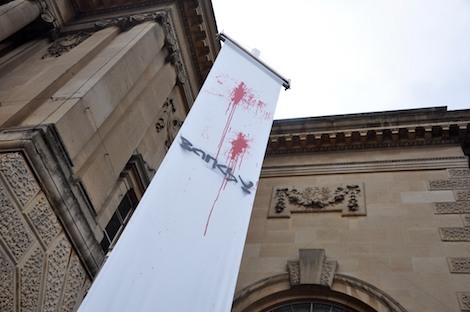 Although you can still find some of Banksy’s old pieces in Bristol today, it certainly isn’t the place to go to see new work by the graffiti artist extraordinaire, especially now that the ‘Bansky versus Bristol Museum’ exhibition has finished. 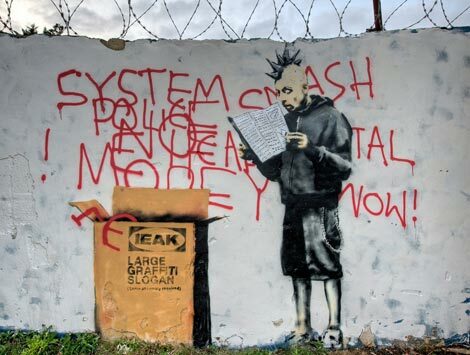 No, it seems that Banksy has discovered new pastures in which to display his charactistic stencils, pastures called London, New York and even Mali believe it or not. Here’s a run down of his recent work, starting with the above ‘Ikea Punk’ photo taken in Croydon by Romanywg. 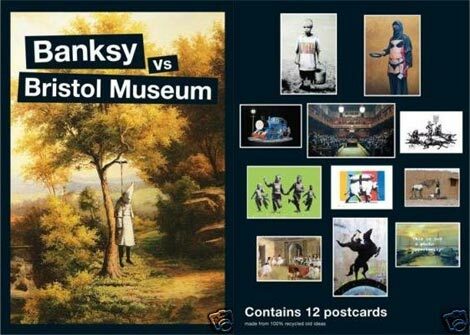 Although no official Banksy merchandise was made available during the ‘Banksy versus Bristol Museum’ exhibition, which ran from 12 June to 31 August, a set of Banksy postcards have now been made available which feature works from the Bristol show. The postcards seem quite similar to the ones printed for Banksy’s Crude Oils exhibition in London a few years back. The BBC have just released a report in which they claim to have discovered one of Banksy’s previous residences in Bristol. The report shows an out building of the property, which has an early Banksy signature sprayed inside. According to the BBC, they have looked through the housing records and now know who the owner was, but the current owners would rather it remained a secret. 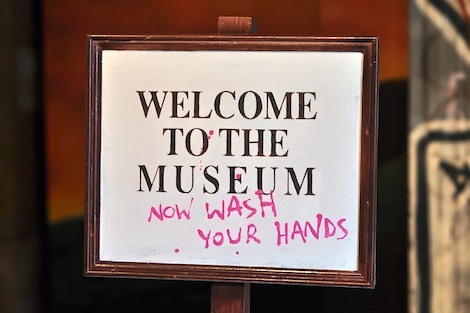 Many visitors of the ‘Banksy versus Bristol Museum’ exhibition, currently being held in Bristol, have expected to find some Banksy merchandise for sale in the museum’s gift shop. But in fact the only things being sold there are his book ‘Wall and Piece’, which is a few years old now and the Bristol graffiti book ‘Children of the Can’. 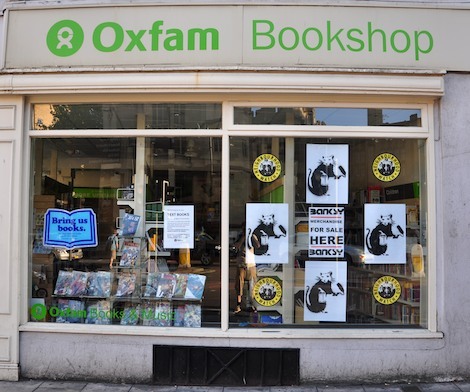 So it would seem that Banksy made a decision to not sell any merchandise at all, well not quite, because while nothing is being sold in the museum, someone has anonymously donated some to an Oxfam shop across the street. Disappointed to see this on the BBC website this morning. 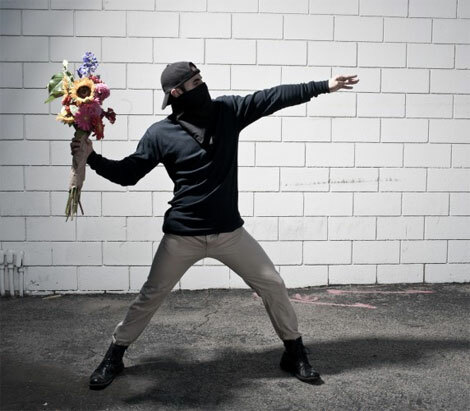 It is thought that the Banksy mural was attacked using a paintball gun sometime between Monday 22 June and Tuesday 23 June. It’s surprising how long this piece had remained intact for really, atleast 3 or 4 years, but perhaps with all the hype surrounding his current exhibition ‘Banksy versus Bristol Museum’ this is some sort of backlash. Maybe someone was sick of queueing to see his show and decided to get even. For those interested in street art and living in Bristol, this year has been particularly amazing. 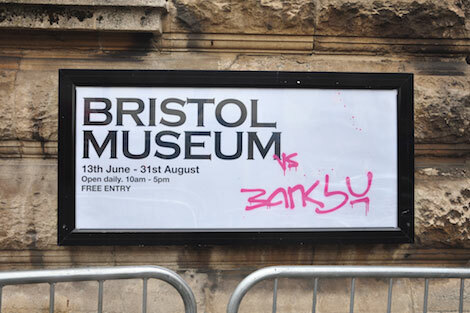 Things kicked off with the RWA ‘Crimes of Passion’ exhibition in March, followed by Upfest in June and now, to top it all, Banksy’s ‘Banksy versus Bristol Museum’ show. This I had to see, so undeterred by the talk of massive queues, I went along to the opening day of Banksy’s latest show in Bristol. Here are some of the highlights. Although some lucky people got invitations to today’s 4:30pm and 7:30pm previews, most of us are having to wait patiently until the show opens to the public on Saturday morning. These photos were taken on the 11 June and show the banners and signs announcing the Banksy show. 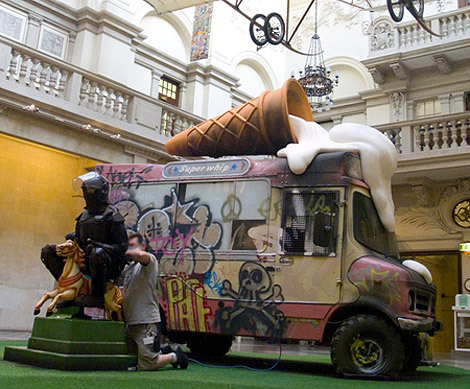 It’s official, Banksy’s Summer Show will take place at the Bristol Museum (we knew that) and will run from 13 June to 31 August 2009. 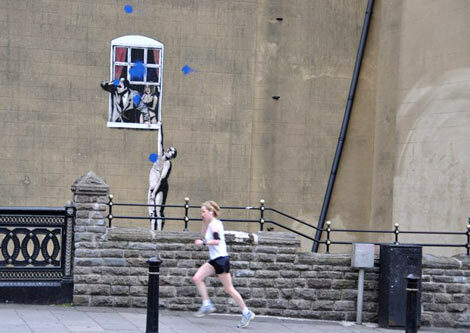 It’s entitled ‘Banksy vs Bristol Museum’ and will feature more than 100 pieces, 70 of them new works. 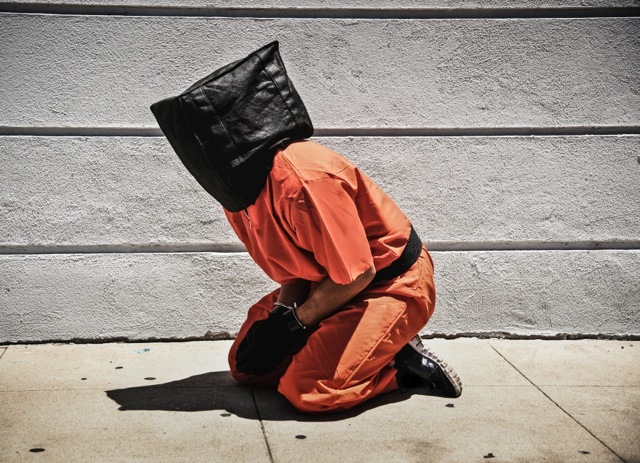 The show, which only a hand full of Museum officials knew about, has taken months to plan. Museum director Kate Brindley was relieved to finally be able to talk about the exhibition after months of secrecy. Even Bristol City Council chiefs were kept in the dark until the day before it opened.